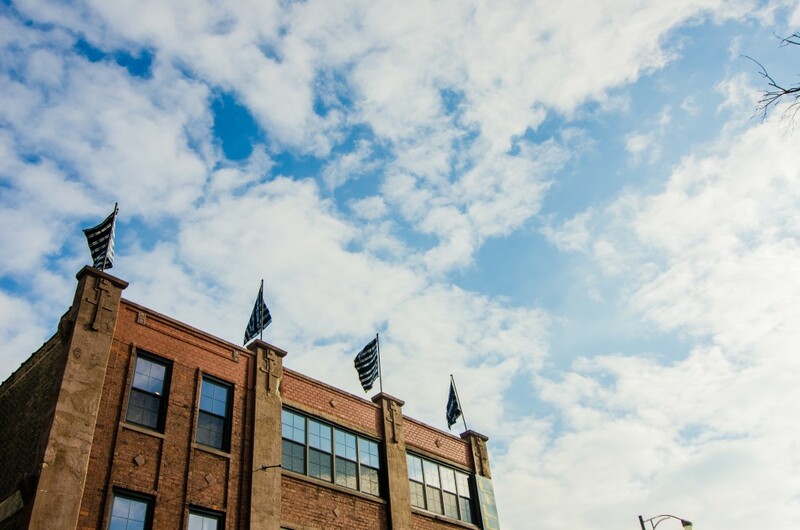 Chicago-based art center Lillstreet is looking for artists to submit to their annually displayed rooftop installation project. Four to five artists are chosen to display flags on the rooftop of the art center for a month during 2013. Lillstreet’s textile department annually exhibits a series of juried artist’s flags in an installation space on the rooftop of the Art Center building. The opportunity is open to artists both nationally and internationally. Selected artists have their flags displayed for a month and two of the year’s artists are chosen to receive cash prizes for their flags. Installations rotate monthly from May – December 2013. Open to all artists who wish to create fiber or textile work. Also open to alternative media. Four 9ft flag poles are available for hanging work. Work is located on top of a 3 story building and can easily be seen from CTA and Metra train tracks. All Applications must be received by March 31st, 2013! Notification will be given by April 30th, 2013 and delivery of flags should be two weeks prior to the month alloted for installation. For more information and to view former artists visit our Textiles Blog (http://lillstreettextiles.blogspot.com/p/rooftop-project-installation-space.html). Send all proposals to Lillstreet Art Center, 4401 N Ravenswood Ave, Chicago IL 60640, c/o Camille Canales. Electronic proposals should be sent to camille@lillstreet.com. All entries must be submitted by March 31st and artists will receive notice by April 30th.